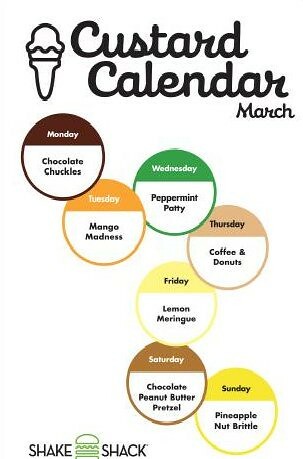 There are three repeat flavors from last March--March Mango Madness, Peppermint Patty and the ever popular, Coffee and Donuts, mmmm...donuts. Chocolate Peanut Butter Pretzel also sounds like a winner. I hope the nice weather continues so I can make some repeat visits to the Shack this month. awww...why do they have the flavor I want on a weekday. :( Do you have a favorite flavor? It's going to be gorgeous out this weekend! 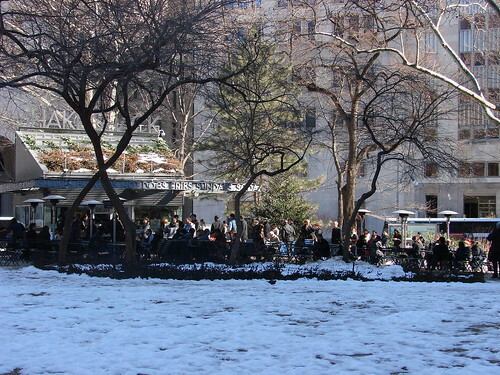 A very long line at shake shack is already predictable! people enjoying burgers and shakes at the park! Chocolate Chuckles sounds good to me! @Gar: It's like the law of Shake Shack...the more you want to try a flavor the less convenient it will be to make it to the Shack on the precise day. I'm personally partial to the Red Velvet.